La Gloria Cubana is often known as “the original boutique cigar,” which is due to the cigar’s cinderella-story background. The brand was the brainchild of Ernesto Perez-Carrillo, whom operated his family’s small El Credito Cigar Co. factory in Miami’s Little Havana neighborhood. Only a handful of skilled torcedores were used to roll El Credito’s cigars. 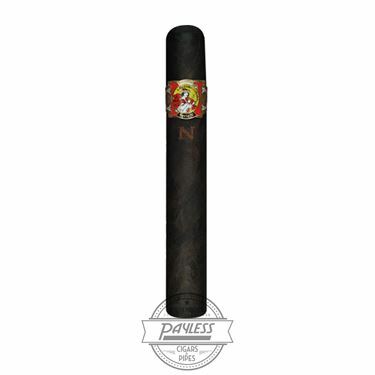 And when Ernesto debuted La Gloria Cubana (a revived Cuban brand) in the early ’90s, utilizing a fuller body than the standard blend of that era, it proved to be the perfect storm… Just as America entered “the great cigar boom,” Cigar Aficionado rated four LGC cigars 90 points or higher, and the brand quickly became one of the most sought-after in the country. The world-renowned La Gloria Cubana cigar was then followed by La Gloria Cubana Serie R, which showcased an even fuller body, as well as beefy ring gauges that helped spark the gordo-style vitolas of the modern era. And in 2010, the famed Serie R cigar received its own followup blend: La Gloria Cubana Serie N. This cigar is, no doubt, one of the most eye-catching displays in the humidor; showcasing an unusual, hexagon-shaped box and one of the darkest wrappers you’ll ever see! 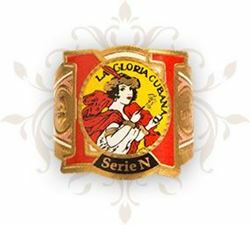 La Gloria Cubana Serie N is built around a proprietary blend of Nicaraguan filler tobaccos, a proprietary Nicaraguan binder, and a near-black wrapper that is classified as “Capa Oscura.” To add to the appearance, a light-shade wrapper is cut in the shape of an “N” and applied over the midnight-hued wrapper leaf. This full-bodied beauty has captivated smokers since its inception, bringing spicy/savory notes of mocha, espresso, stone fruit, prunes, charred oak, and aged tobacco.